Photoshop is a great tool for improving images when used correctly. At the same time, it can be even more entertaining when used incorrectly. You can also learn a lot about the limitations of Photoshop. By looking at some of the most entertaining attempts at when Photoshop fails, you can learn what not to do. Removing background with Photoshop is a great way to make an image more useful. In general though, a person’s legs are not considered part of the background. With so many magazines, and so many pictures in each of them, it is hardly surprising that an image like this would slip by – but it is still a little creepy. There are a number of ways that this can happen, but the most likely is that someone used the Select tool and didn’t notice that it had removed the leg. So, if you want to avoid this mistake, you simply need to be very careful with the Select tool to ensure you’re not amputating a leg. The key to avoiding this mistake is taking the time to look carefully at your image after you are done. Whether cutting out one image and putting it in another, or removing something from an image, you need to stop and make certain that you have removed everything. Otherwise, you’re going to end up with random body parts scattered around your pictures. There are a few examples of this, but few are clearer than Microsoft’s Poland snafu. In these images you can see that they removed the man in the middle, and replaced him – badly. The change left the original subject's hand and suit in the image, and made the man who replaced him look odd. This not only looks bad, it caused a considerable amount of problems for the Microsoft Public Relations department. In the case of this picture, the only real solution is to remember that if you want a different photo it's likely a good idea to just take another photo. Rarely will a replacement image feel as authentic as a true photo. Humans are naturally drawn to faces, and we spend much of our lives looking for small clues in them. For this reason, we are easily disturbed by small irregularities in the face. In the case of this image, it is so absurdly bad that it is hard to imagine being bothered by it – but there are far more subtle issues which can be just as much a Photoshop fail. The most difficult to pinpoint is making people look too perfect. Even if these are done well, they often simply fail to look at all like the person In the case of this image, it makes a person look like some type of weird and possible dangerous alien creature. 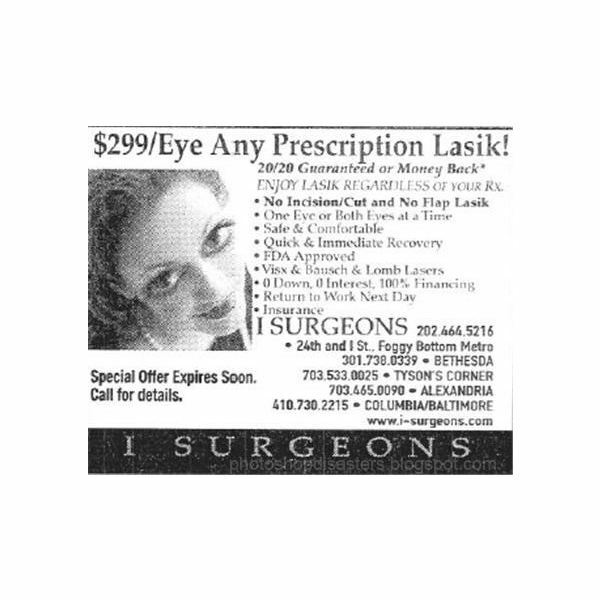 It also makes you wonder how good an eye surgeon could be if they OK’d this image. There are countless ways to improve images in Photoshop. Yet, while you can make them better in a number of ways with Photoshop, there are also a lot of ways that the program can fail. Whether leaving artifacts from those changes, or simply making a person look very odd, mistakes are easy to make. It is vital that, if you want your work to look good, you should take your time and look carefully at the image once you are done. While other people’s Photoshop fails are fun to look at, your own can be embarrassing! Instead, learn from the mistakes of others. Do you have your own Photoshop fails or tips to share? If so, be sure to visit our comments section below.